Conveniently located in the Richmond Icon development on Swan Street in Richmond, this car park offers you convenience and peace of mind. 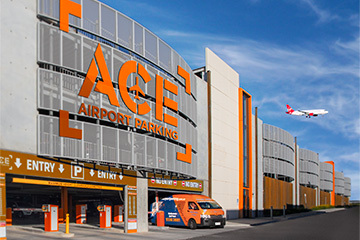 Directly under Coles Supermarket and just a short walk to the MCG, AAMI Park and Melbourne Park, Ace is the perfect spot for all event parking. To access the car park, turn on to Green Street from Swan Street. Parking at Richmond Icon is safe, the rates are affordable and the parking services from Ace Parking are flexible. Coles Richmond Icon, 140-160 Swan St, Cremorne Victoria 3121 (Cnr Green Street and Swan Street), enter off Green Street. Breathing new life into a Richmond Icon, Coles Richmond opened on the 18th February 2015. Formally the historic Dimmey’s building, Richmond Icon consists of a mix of one and two bedroom apartments with private winter gardens, including beautifully crafted New York style lofts, all of which will sit atop of a brand new Coles supermarket. The redevelopment of Richmond’s iconic Dimmeys store into apartments was awarded National Builders Design Award – 2015 Best Special Project Design.